Most families spend a vast number of hours planning and preparing for the arrival of their new baby and think far less about what life will look like on the other side of birth. As a doula, when I talk to families about preparing for the postpartum period, I ask them how they plan to spend their “Babymoon”–those first precious days and weeks following the birth of their child. Some families talk about family coming into town to visit and “help”. Others talk about little trips they have planned before or after baby is born and others talk about woefully short maternity leaves and feeling unsure about how they will care for baby and get back to life. Stay in bed the first several days. 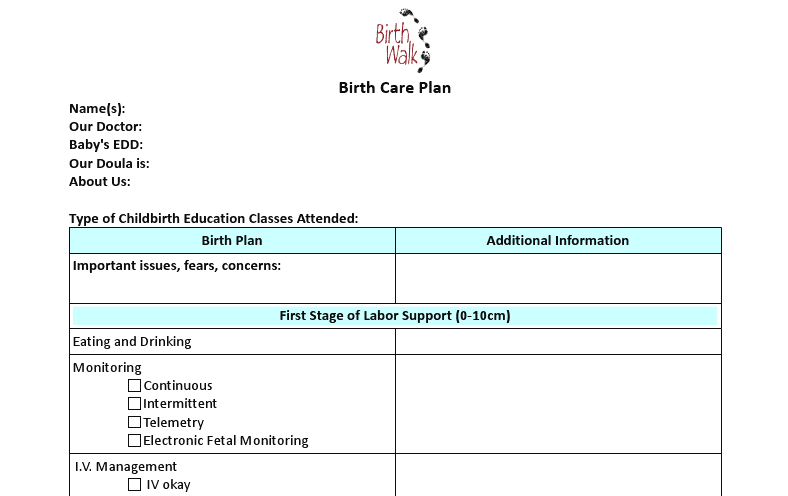 Labor and birth require serious physical exertion and the first days following birth may be accompanied by sore muscles, recovery from perineal tearing and also the general exhaustion of learning to breastfeed and caring for a newborn. Give yourself at least a week in bed. 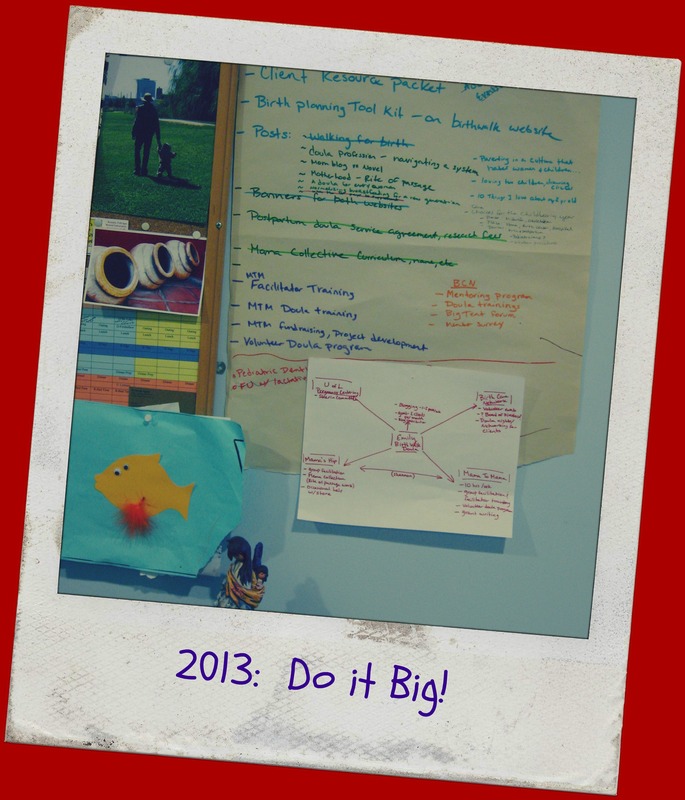 Start small. The pressures in our culture to pick up and get on with life following the birth of a baby can be difficult to overcome. (If my experience is any example: one week after my first child was born, I found myself miserably walking around Rocky Mountain National Park. 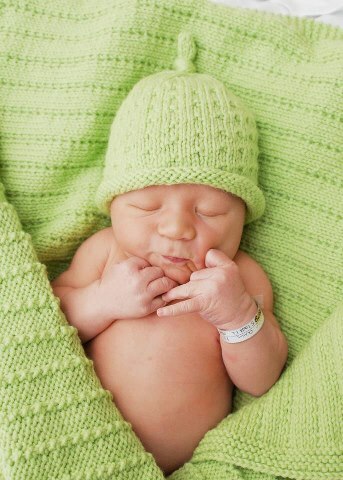 It made for a beautiful photo op with my newborn, but it made me one unhappy mama.) 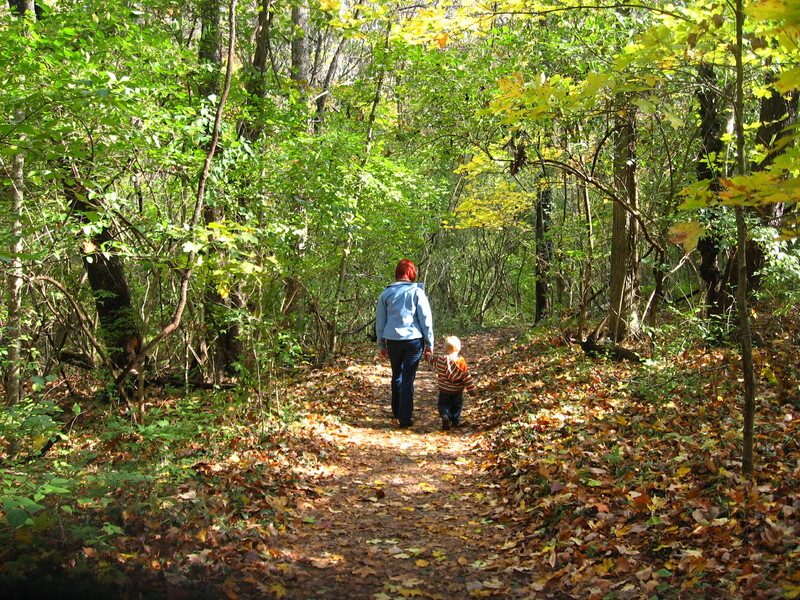 If you are feeling the itch to get out, start small–a walk around the block. You can work up to things like the farmers market, the bank or library. After a few weeks, you can schedule just a couple outings a week with baby where the only goal is to get comfortable juggling a regular task with baby in tow–a short grocery trip, for example. Organize your Help. Families are fond of flying in following the birth of a baby to offer their “help”, but too often this turns into new, sleep deprived parents hosting family members who just want to hold a sweet, warm, new baby (and who wouldn’t?!). I suggest to families that they should make a list of all of the tasks that need to be done from day to day and actually assign tasks to friends and families who have offered. The same goes for meals. Have a close friend or family member organize meals for you in advance and schedule who will bring food and when. Consider hiring a postpartum doula. The last thing a new mother needs is to feel that she has to coordinate and administrate her life. She should be freed up to focus on bonding, breastfeeding and recovering physically and emotionally from her birth. 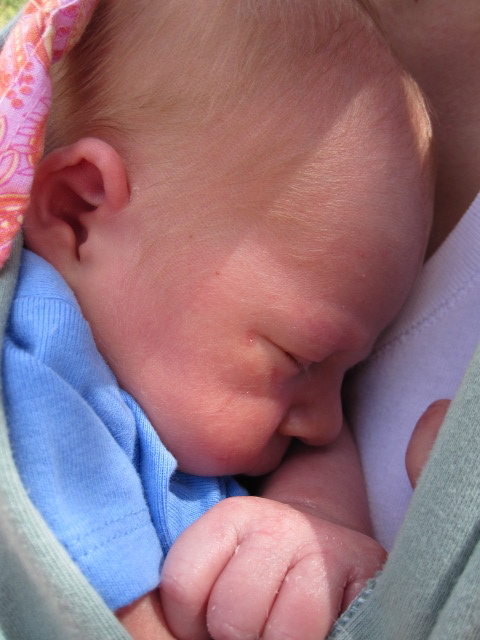 A postpartum doula is a trained professional who can help facilitate this process. 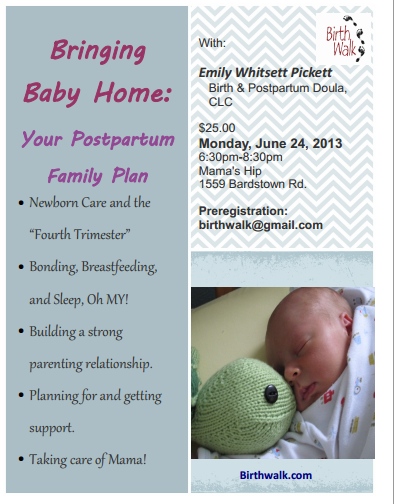 The job of a postpartum doula is to care for the new mother so that she can focus on baby. Your doula can help with light housework, help you process either the “perfect” birth or the one that didn’t go according to plan. She can be a shoulder to cry on or help allay the fears of new parents as they learn to care for their newborn. Give yourself the gift of space and time with your newborn as you enter your postpartum babymoon. I promise, everything else can wait. There’s a reason I picked the name Birth Walk for my business and blog. Walking. It’s the great milestone of the first year of life and is the basic form of our movement and mobility for the rest of our lives. It’s something that most of us probably take for granted, but walking both literally and figuratively plays a vital role in birth. From a very practical perspective, staying upright and walking during labor can help dilation, and bring baby into the best position for birth. Walking can speed up labor, or can help start a stalled labor–all benefits that are lost when women are forced to labor in bed or on their back, as tends to happen in most hospital settings! During both of my pregnancies, I tried to walk as much as possible, not only to prepare my body for the hard work of labor, but, just as importantly, to prepare my mind for the mental work that takes place when giving birth. There are several cultural mythologies around women giving birth in indigenous communities throughout the world that involve walking. In some of these stories, pregnant women walk long distances in search of a place give birth when it is time. From a biological perspective, this could be tied to how animals of other species of animals will seek out a location or den to birth–out of a need to secure safety for their vulnerable babies. For humans today, whose physical safety may not be threatened, there is still a need to create a “protected space” in the mind when it comes time for birth. As the African proverb above suggests, when women birth they must walk through a vulnerable place within themselves in order to bring a new life to this side of earth and simultaneously give birth to a new identity as a mother–a process that continues to unfold long after the initial birth of a child. When I was 39 weeks pregnant with my son, I urgently felt the need to hike up my favorite mountain by our house. In fact, though I’d been moving pretty slowly for a while, when I started that particular hike, I felt a lightness and a deep need to practically run up the mountain. I HAD to reach the overlook at the top because I knew that when I arrived there I would make peace with any fears I had about giving birth. When we reached the top, I sat in meditative quiet and felt my son stirring within me and knew that I would hold him in my arms soon and that no matter what, I was going to birth this baby. I was ready. Walking continues to be my outlet–my opportunity to be in my body and mind. It is the space where I learn more about the mother that I am and the woman that is emerging during this rite of passage. So, for birth and for life: Keep walking. Don’t stop. Big News! 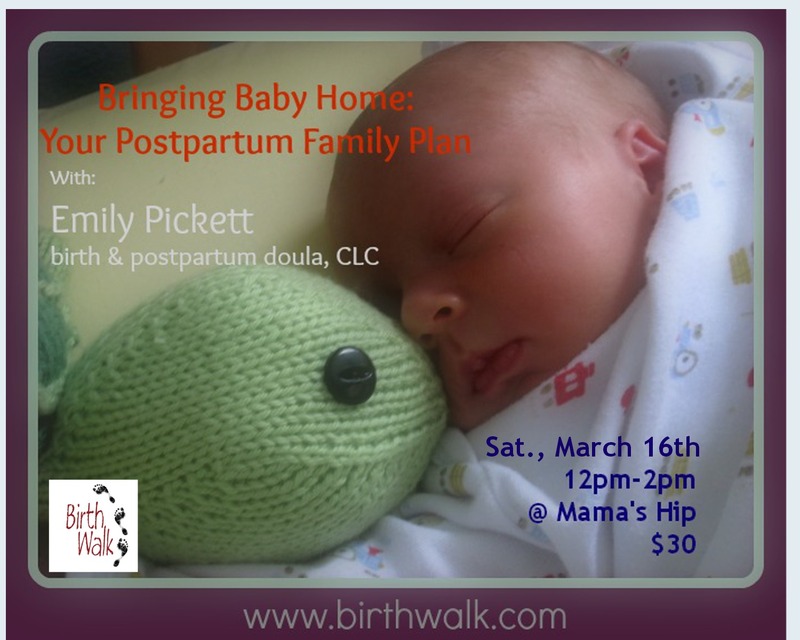 In 2013, I will begin taking postpartum doula clients! Once upon a time, women were surrounded by family and friends to support them in the days and weeks following giving birth. In some cultures, women are EXPECTED to observe a 40 day “babymoon”, where the mother is excused from housework and care of other children; so that she can recover from the birth and get to know her newborn. Today families are scattered and it’s common for new families to lack support for the major transition of bringing a new baby into their life. Moreover, the postpartum period can be very difficult emotionally as new mothers process their birth experience and emerging identity as a mother. Having someone present to nurture the new mother can make a huge difference for her wellness as she undergoes this transition. A postpartum doula can help fill these roles. What training do postpartum doulas have? Most postpartum doulas have read extensively, attended some kind of comprehensive training workshop (similar to training for labor support) that prepares the doula to work with the specific needs of a postpartum mother, and have experience in caring for babies and/or families. Click here to learn more about my postpartum services.